I can't believe it, but it has felt like fall all week here in Georgia! Will these cool days last? Unlikely, but I am so enjoying them right now. Besides the fall weather, I am also in love with other aspects of fall such as this Gooseberry Patch cookbook, Slow-Cooker Fall Favorites. The fall line of Gooseberry Patch cookbooks are my favorites. Whenever I want to get myself in the mood for the season's festivities, I always pull out all of my fall cookbook collection and spend the evening reading through the memories submitted by readers and imagining how all of the recipes taste. 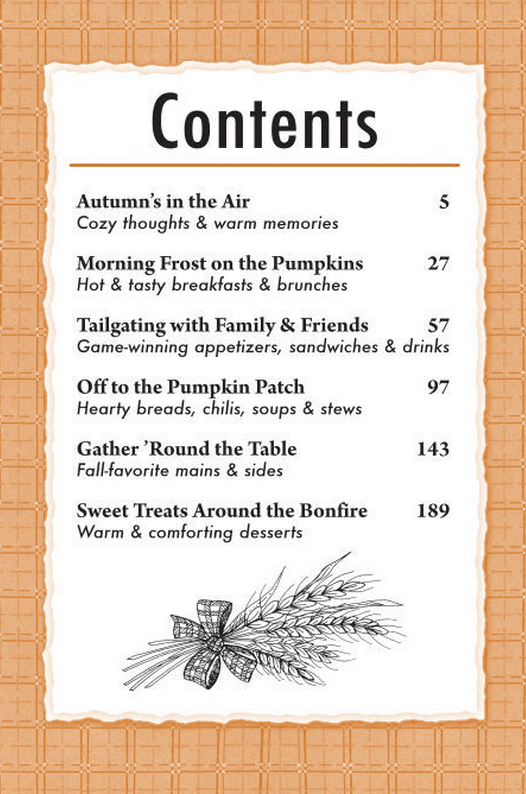 If you're a fan of slow-cooking, you'll love this latest fall edition of Gooseberry Patch. As you can see from the table of contents below, every recipe from breakfast to appetizer to dessert is cooked in a slow cooker. So, break out your slow cooker (or two) and get ready to put some comforting dishes on your table. While I didn't test a breakfast recipe for this review, I do love the idea of waking up on a Sunday morning and finding a warm breakfast ready for me in the kitchen. Maple French Toast Casserole, Bacon & Cheese Breakfast Casserole, and Blueberry Coffee Cake would be a great way to start my day. I will admit that my slow-cooking experiences have really focused on appetizers or party food. I am always drawn to the slow cooker at parties - little smokies and meatballs swimming in sauce always call my name. 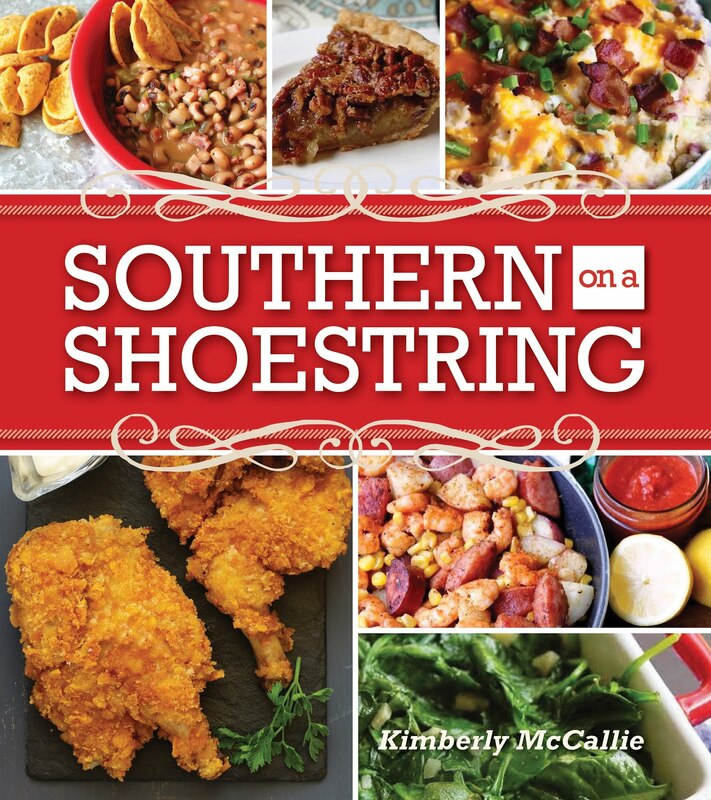 The tailgating (appetizer) chapter of this book is filled with a variety of recipes for said sausages, meatballs, chicken wings, and dips. I chose to feature Ginger Thai Wings below from this chapter of the book. Of course, there are recipes for soups and stews as well as a large selection of recipes for main dishes and sides. That's why I suggested getting out a slow cooker or two. Ideally, you could have a main dish in one cooker and a side or dessert in another. Oh, yeah, desserts...Slow-Cooker Apple Pie, Blueberries & Dumplings, Chocolate Cappuccino Bread Pudding and Fall-Favorite Apple Coffee Cake...one of these could be waiting on you when you return home from work and from a weekend at your local pumpkin patch. Place wings in a slow cooker. Add 1/4 cup water, lime juice, and 1/4 teaspoon ginger to wings; stir to coat well. Cover and cook on low setting for 5 to 6 hours. Meanwhile, whisk together peanut butter, remaining water, remaining ginger and other ingredients in a small saucepan over medium heat. Cook, whisking constantly, until mixture is smooth. Remove wings to a serving bowl. 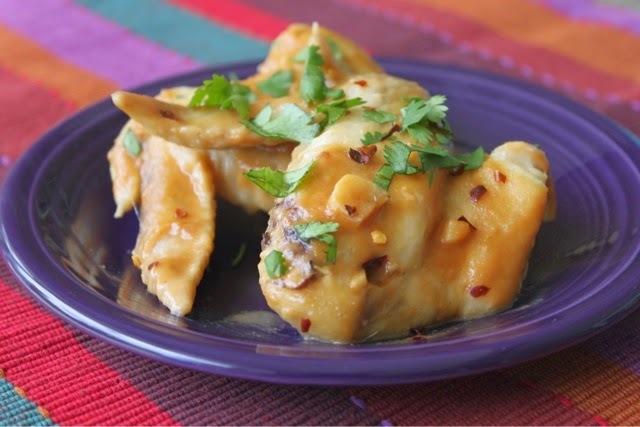 Drizzle peanut sauce over wings. Toss to coat well. Serves 12. 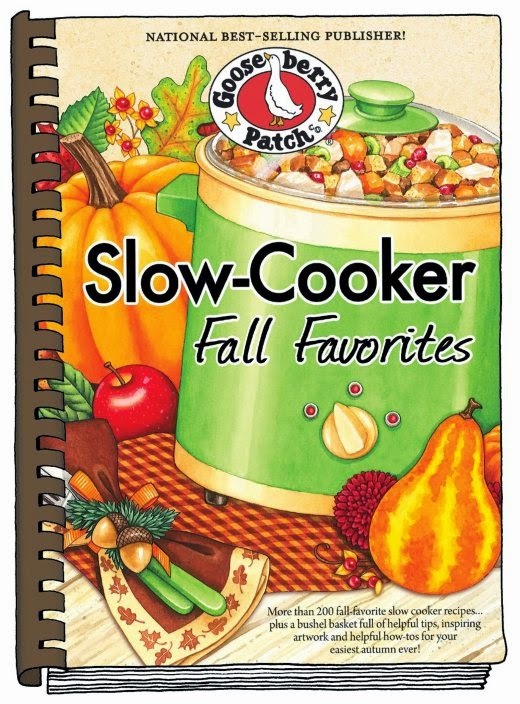 If you would like your own copy of Gooseberry Patch's Slow-Cooker Fall Favorites, please enter to win in the widget below. Please be patient as the widget loads. Deadline: October 11, 2014. Everything! The colors, the smells, the crispness, fixing comfort foods, baking goodies, the clothes....I love it all!! That looks so good! YUMMY! I absolutely love everything about fall! I absolutely love everything about fall! That recipe looks amazing! I love the craft shows and fairs that are abundant during Fall! I love the crisp weather and the smell of fires in a fireplace. I also love the changing of the leaves. I love the weather and the fall recipes!